Away From Home: "Trevor's at his peak, see Bennett's dancing feet..."
"Trevor's at his peak, see Bennett's dancing feet..."
With the transfer embargo lifted its clear our focus will train on League Two players, we’re no longer shopping at Harrods or even Woolworths to quote John Sillett, we’re now in Wilkinson territory, Lidl at a push. Expectations have risen slightly as we await transfer activity with interest, we’ll pick up the old pros from the Championship similar to Lee Carsley's signing by Aidy Boothroyd but, realistically, burgeoning talents from the old Division Four will be on Andy Thorn and the newly installed Richard Shaw's radar ready to line up at Yeovil on August 18th. 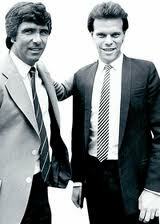 The summer of 1983, albeit in the top flight, saw a welter of lower league signings brought in by Bobby Gould. 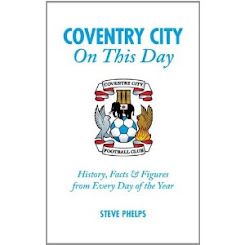 Steve Ogrizovic signed from Shrewsbury Town, Nicky Platnauer (Bristol Rovers - he went on to be voted Player of The Year that season), Michael Gynn (Peterborough) and Micky Adams (Gillingham). 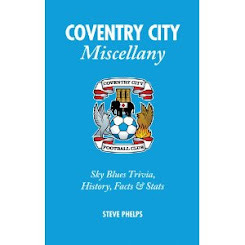 Also wearing sky blue for the first time was a Nuneaton-born centre-half who transferred from Lincoln City for just £100,000. 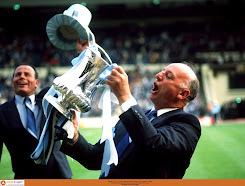 His name was Trevor Peake and, along with ‘Oggy’ and Gynn, would win an FA Cup winners medal and prove an outstanding signing during his eight years at Highfield Road. Amazingly consistent and reliable, Peake and Brian Kilcline forged a superb partnership at the heart of the defence. 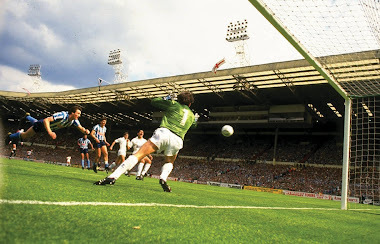 Wembley 1987 saw them celebrate Houchen's brilliant header on the halfway line. 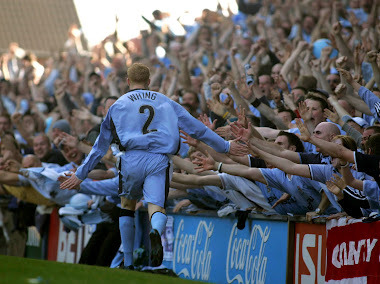 Peake’s reading of the game compensated for his lack of pace, he was simply outstanding in sky blue, one of the finest defenders of the Division One era. 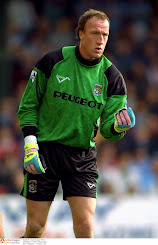 His 334 appearances place him 11th in the all-time list, team captain on many occasions Peake was terrific for the Sky Blues. Similar to the consistency of Peter Atherton, the man signed to replace him, there have not been many better in the number six shirt. 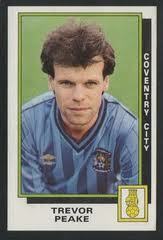 His final game, the 5-0 win over Luton in August 1991, saw him join the Kenilworth Road outfit days later where he played until his retirement in 1998. With City's facilities the best in the third tier, prospective players should want to play in our fantastic stadium with our history. 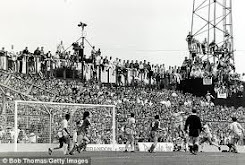 The opportunity to shine in League One is a step up for League Two players but in 1983 Terry Gibson, Peake and company were joining an established Division One club when the power was not with the player and his agent. We’re now a club with expectations of an immediate promotion yet we play in a half-full arena where opposition supporters taunt us over the number of empty seats. With over 5000 season tickets sold there’s still belief and the next few weeks will show if the club shares our hopes for the coming season. They're talking up promotion on a daily basis, let's have action instead of words.